Pardoned terrorist and political hopeful Sourn Serey Ratha returned from years of self-imposed exile Thursday, touching down at Phnom Penh International Airport to a muted welcome from a couple of hundred supporters, some of whom knew little about why they were there and came because they had been given rice and cash. Mr. Ratha’s return capped a bizarre reversal of fortune for the dissident, who was branded a terrorist by the ruling CPP in 2013 on scant evidence and sentenced in absentia to seven years in prison in January. Out of the blue and without explanation, Prime Minister Hun Sen—Mr. Serey Ratha’s loudest critic— engineered his royal pardon in July. A few days later, the Ministry of Interior allowed the Khmer Power Party (KPP) to register, with Mr. Serey Ratha at its helm. Mr. Serey Ratha arrived on a mid-morning flight from Bangkok with a small retinue of assistants and advisers and knelt just outside the airport’s arrivals gate to be splashed with holy water and pelted with jasmine petals by a group of monks. After that, he launched into a critique of the government. 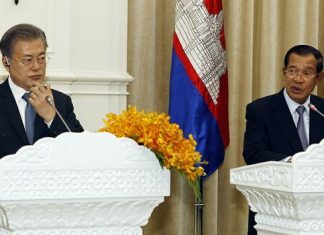 Mr. Serey Ratha has dropped his most strident ideas—an Arab Spring-style uprising and a U.S. military base on Phu Quoc island, which Cambodia does not even own—but he promised Thursday that he would keep pushing for reforms, starting with elections. 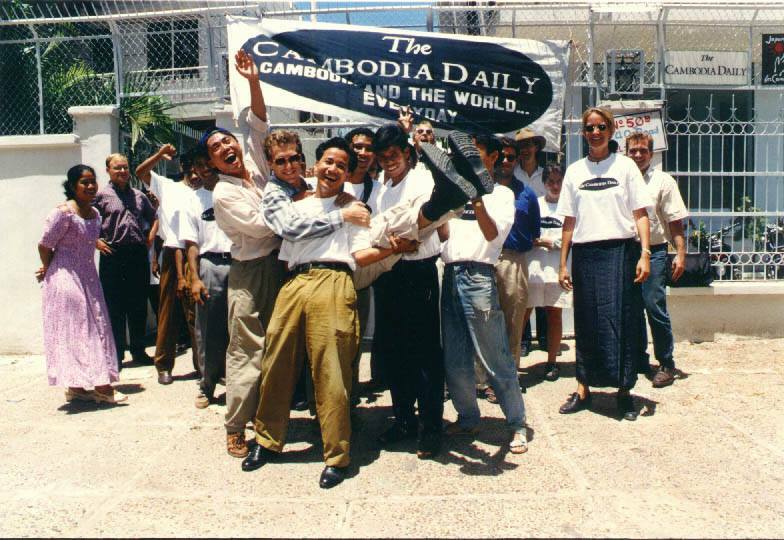 Mr. Serey Ratha has spent the past nine years away from Cambodia, mostly in the U.S., where he courted support from the Cambodian diaspora across the U.S., Canada and Europe with his populist agenda and his steadfast criticism of Mr. Hun Sen’s long-ruling CPP. The dissident has boasted of being able to call on hundreds of thousands of supporters across Camb- odia if he wished. But there has been no sign that this is the case, and his popularity at home remains untested. 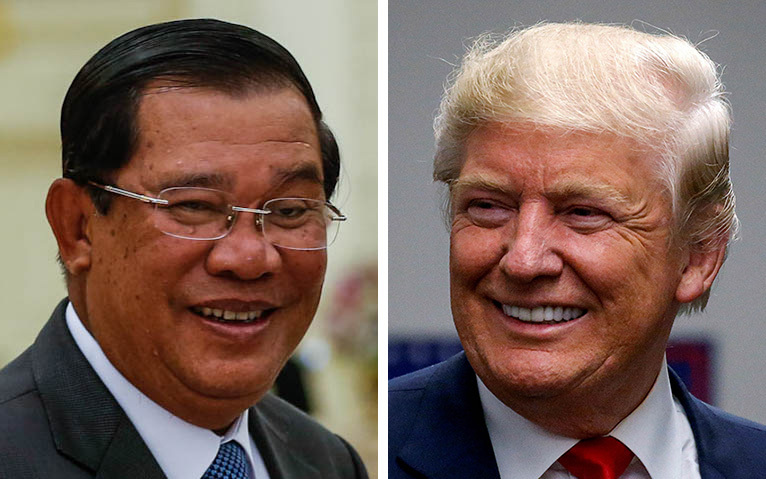 Still, hoping to project support, the party lined up about 200 people in neon green KPP shirts waving small Cambodian and American flags to greet Mr. Serey Ratha at the airport Thursday. But out of six green-clad supporters interviewed by reporters, none knew anything about the KPP except that it was headed by Mr. Serey Ratha. One woman said she had become a party supporter because the KPP had started showering her and her neighbors with gifts. “I love the party because [Mr. Serey Ratha] is a good person. He helps the people because he provides rice every month,” said Chok Lina, who made the trip from Takeo province with a vanload of neighbors. She said her family started receiving a monthly supply of 50 kg of rice and 50,000 riel (about $12.50) a month from the KPP three months ago, about the same time Mr. Serey Ratha was pardoned. She knew nothing about his policies and said the gifts were the only reason she agreed to come to Phnom Penh to greet him. “It’s the same for everyone,” she said. She and her neighbors had been rounded up for the trip to Phnom Penh by Chheang Ron, the KPP’s chief for Samraong district. He said he knew nothing about the KPP, either, and had not even heard of the party until three months ago. Mr. Ron said he had not yet received rice or cash, but believed he would. “I hope the KPP will help me soon,” he said. Mr. Serey Ratha is wasting no time kick-starting his party now that he is back. The KPP will hold its first party congress today and a training seminar for monks and students on how to become politicians on Saturday. After that, Mr. Serey Ratha will embark on a tour of the KPP’s provincial offices. But despite these official activities, Mr. Serey Ratha has yet to commit to fielding candidates for the upcoming commune and national elections in 2017 and 2018, respectively. He has set a list of conditions that the government must meet before he enters the races, including an overhaul of the National Election Committee to scrub its membership of all political affiliations. If the KPP does run, Lev Tol wants to be the party’s candidate in Siem Reap. He came out to the airport Thursday in a party shirt and pin, brandishing a megaphone. Mr. Tol said he also liked the party president’s plans to extend public school instruction from half a day to all day, and wipe all Vietnamese residents without Cambodian citizenship off the voter rolls. Agreeing to run at all would be another turnaround for Mr. Serey Ratha, who has built much of his rebuke of the CPP around the claim that it has stayed in power over the past 22 years thanks to a hopelessly corrupt electoral system. The government’s court case against the dissident was based on his thwarted efforts to have T-shirts distributed across the country just ahead of the 2013 national election, printed with a message urging people not to vote. The case also involved his attempt, amid the street protests that followed the election, to hand out 1,000 yellow roses to police and soldiers posted across Phnom Penh along with stickers that urged them to “turn your guns against the despot,” a reference to Mr. Hun Sen. He was convicted in January of incitement, plotting against the government and obstructing elections. Rights groups dismissed the case as baseless and politically motivated, and since Mr. Serey Ratha’s pardon the government has never explained its change of heart about the alleged terrorist. Interior Ministry officials said only that he had changed his ways and would be welcomed back. 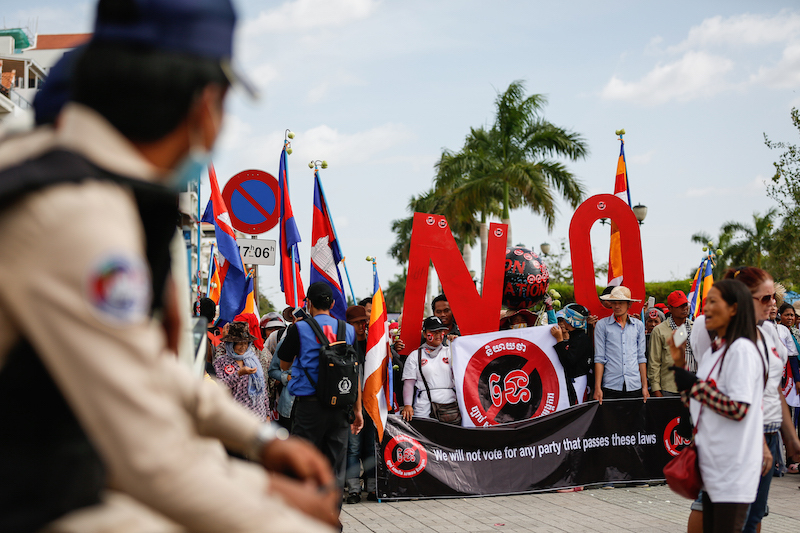 Political observers have suggested that the CPP wants Mr. Serey Ratha back in Cambodia so he can draw some votes away from its real political opposition, the CNRP, in the coming elections. Both the CPP and the KPP deny the claim. Mr. Tol, however, put forth an alternate theory. With his leader back, Mr. Tol was confident that the party could push the CPP out of power come 2018. “In Siem Reap there are already a lot of people who support the KPP. About 200 people,” he said.